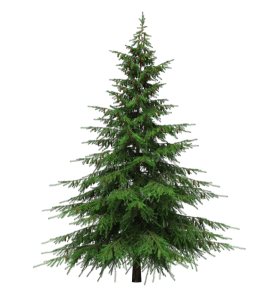 The Balsam Fir is native to North America. It’s botanical name is Abies balsamea from the pinaceae family of trees and grows to 180 feet tall. This conical evergreen tree produces aromatic needle-like leaves and purple fir cones. In the eastern US, it is used mainly as a “Christmas tree”. The balsam has long been commercially exploited for its timber. It is the source of the liquid resin called Canada balsam, which is tapped from sixty to eighty-year-old trees in the spring. Canada balsam also called Canada turpentine or balsam of fir, is a turpentine which is made from the resin of the balsam fir tree. The “Christmas tree” has an extensive history of medicinal use in North America and Europe for congestion and other infections, but not used much today. It was used mainly by Native Americans and early settlers for a wide variety of conditions. Founder of the Eclectic healing movement, Dr. Wooster Beech (1794-1868), regarded balsam fir as a stimulant and laxative when taken internally and as an emollient and coolant when used externally. 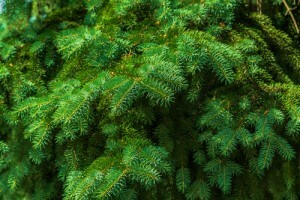 Balsam fir is a great natural antiseptic. It can be added to oils or salves to help ward off infections. It’s cooling and emollient properties also helps to heal wounds. The essential oil can be added to natural disinfectant sprays to kill germs. Taken internally, the needles can be used as a decongestant in colds, flu or bronchitis. Be careful not to drink too much, as it is also a laxative. Pine needle tea contains as much Vitamin C as an orange does. Actually, all parts are used. The needles, resin, roots, branches and bark have all been used for food and medicine through the years. The resin was used in a variety of ways by Native Americans. The Penobscots put it on burns, cuts, and sores. Ointments and plasters were also applied to the chest and back for colds and chest problems. It not only makes an effective treatment, but also is a protective coating, especially for cuts and burns. Many tribes including the Algonquin, Woodlands Cree, Iroquois, Menominee, Micmac, Ojibwa, and Potawatomi treated colds with a tea made from the sap or bark. The aromatic needles were in their sweat lodges, inhaling the smoke from burning leaves to cure such respiratory problems as bronchitis. The Chippewa inhaled steam created by melting the gum to relieve headaches. The Iroquois used the steam created from a decoction of the branches to relieve rheumatism and as an aid in childbirth. Infusions of the leaves were used to treat urinary tract infections including cystitis. It is still commonly used in potpourri and aromatherapy.